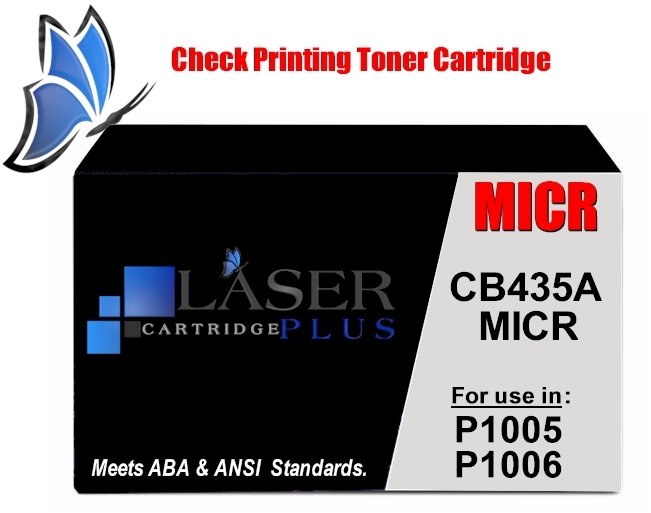 CB435A MICR Toner - HP LaserJet P1005 P1006 MICR Toner - Print your own checks with our compatible HP Laserjet P1006 MICR Toner. This premium modified HP P1005 MICR, P1006 MICR cartridge delivers excellent print value. This HP 35A MICR Toner Cartridge is a modified HP black toner used in MICR check printing. 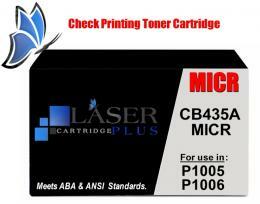 For use in: HP LaserJet P1002, P1003, P1004, P1005, P1006, P1009 printers. 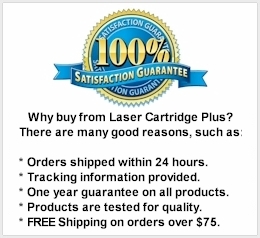 Compatible with MICR Cartridges: CB435A, CB435X, THN-35A.